At Classic, we have created a team of dedicated professionals who make top-quality service their priority. As a rapidly growing company, we look for qualified individuals to fill new positions. Classic offers a wide variety of benefits, including insurance, vacation and sick pay, and more. Most team members come for the opportunities, but stay for the supportive, family atmosphere. Classic prefers for its Association Managers to have a CMCA (Certified Manager of Community Associations). You can obtain information about this certification at http://www.nbccam.org/. For Real Estate Sales, Leasing and Rental Management personnel, a Texas Real Estate License is required. Classic Property Management, AAMC has a new opening in our growing Association Management division. The Community Association Manager is a high profile position, one requiring a professional possessing strength in team leadership, risk management, and customer service. The Manager must be a self-starter with excellent decision making skills and a will to solve challenging problems. This position will be supported by an Assistant Manager and a dedicated Administrative Assistant. · Interfaces with the Board of Directors and implements decisions in accordance with operational protocol. · Regularly monitors association assets. · Oversees the progress of capital projects. · Implements and supervises the progress of community-wide initiatives. · Facilitates and participates in regular Board Meetings and Annual Meeting. · Creates RFPs and secures proposals in accordance with community objectives. · Maintains vendor relations and communications to achieve community goals. · Oversight of monthly expenses and repair projects within the Budget. · In conjunction with staff, responds promptly and professionally to resident concerns and questions. · Supervises on-site and in-office staff. · Facilitates covenant enforcement in compliance with the governing documents and state statute. · A minimum of five (5) years experience actively managing communities. · CMCA, AMS required, PCAM preferred. · Strong facilities management experience. · Professionally interacts with board members, homeowners, and vendors, as well as senior-level executives and all other levels of employees. · High degree of discretion dealing with confidential information and displays a high standard of personal integrity and work ethic. · Demonstrates collaborative decision making, relationship building and problem solving skills. · Excellent verbal, written communication and interpersonal skills. · Exceptional organizational, prioritization, and multi-tasking skills. Classic is seeking a dynamic, experienced Administrative Assistant for our HOA Division. Applicant must be a highly organized, detail-oriented self-starter. Applicant must have exceptional customer service skills, writing skills, and verbal communication skills. Must be proficient in MS Office, possess above average computer skills, and have knowledge of office management systems and procedures. Experience in the community association industry a plus. Growth potential exists for the right person looking for a long-term professional career. We offer excellent benefits, including: medical, dental, vision, life insurance, paid vacation, personal time, and holidays. 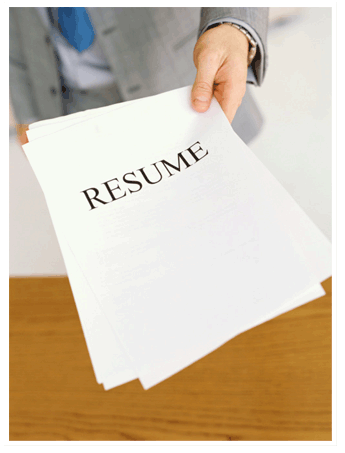 If you would like us to keep your resume on file for an upcoming position, please forward a copy to [email protected].